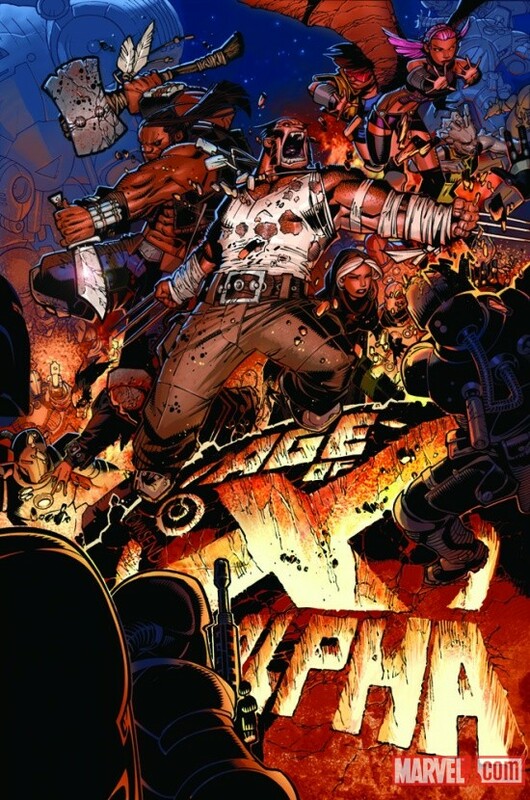 In a world where the X-Men never existed and mutantkind has been hunted to extinction, the few remaining mutants band together to make their last stand. 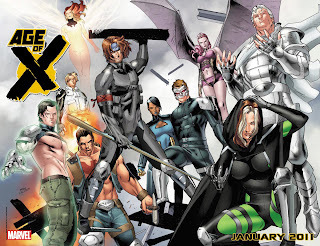 Taking refuge in FORTRESS X - a small city surrounded by a telekinetic force field wall - the mutants spend each day beating back the forces that would see them extinguished and shoring up their barricade. Nightmare (Pixie, Megan Gwynn) changed name during "Bleeker Street Massacre"
Tasked with using their powers to create Force Walls after every battle with the human forces. 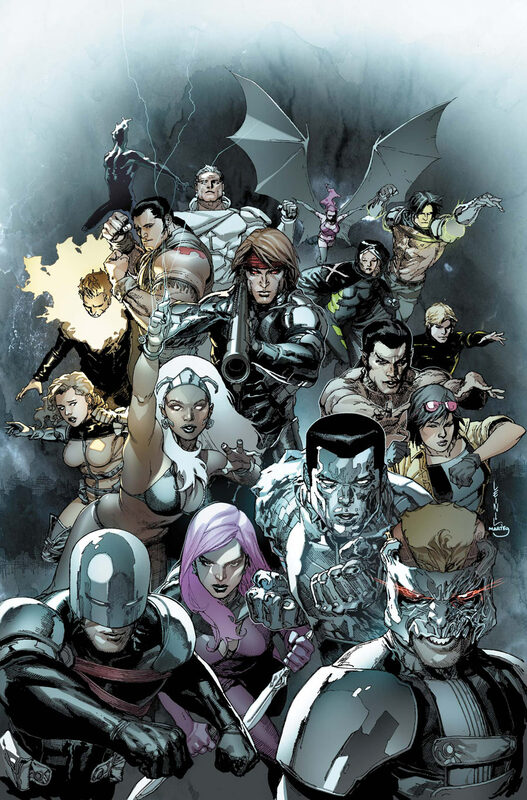 A number of mutants were locked up in the X-Brig as they are deemed too dangerous to other mutants. 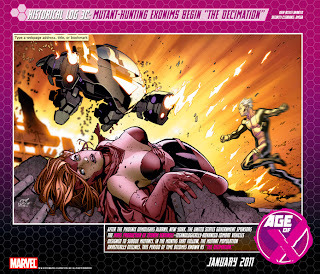 Danger is the warden of the Brig and runs it with a number of drone copies of herself. 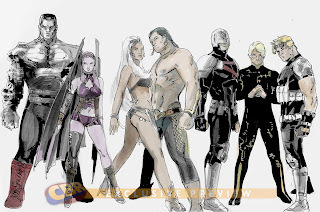 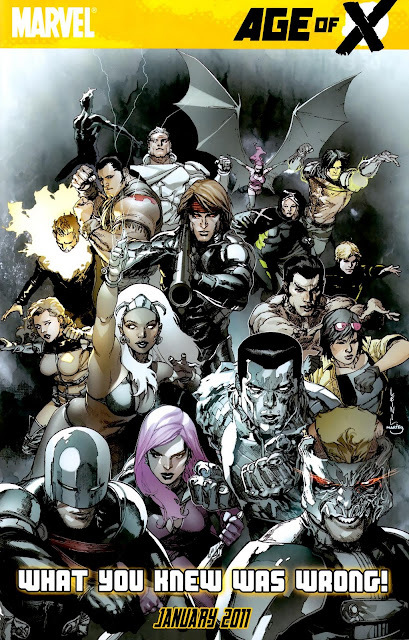 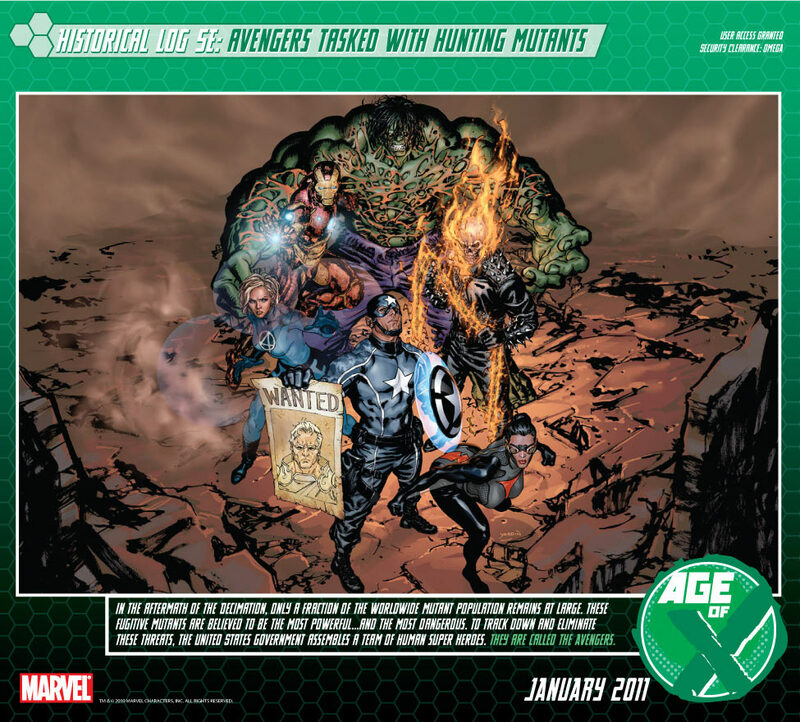 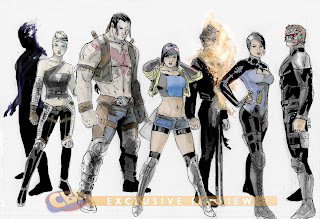 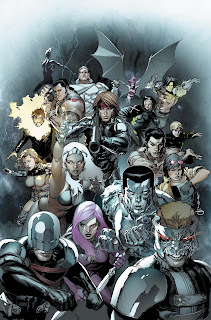 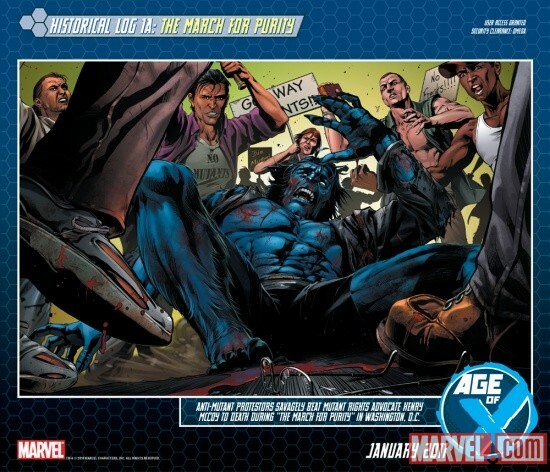 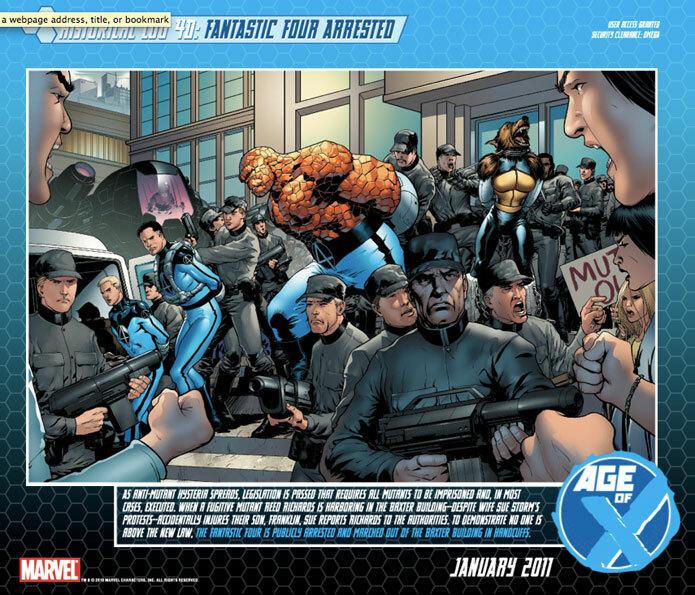 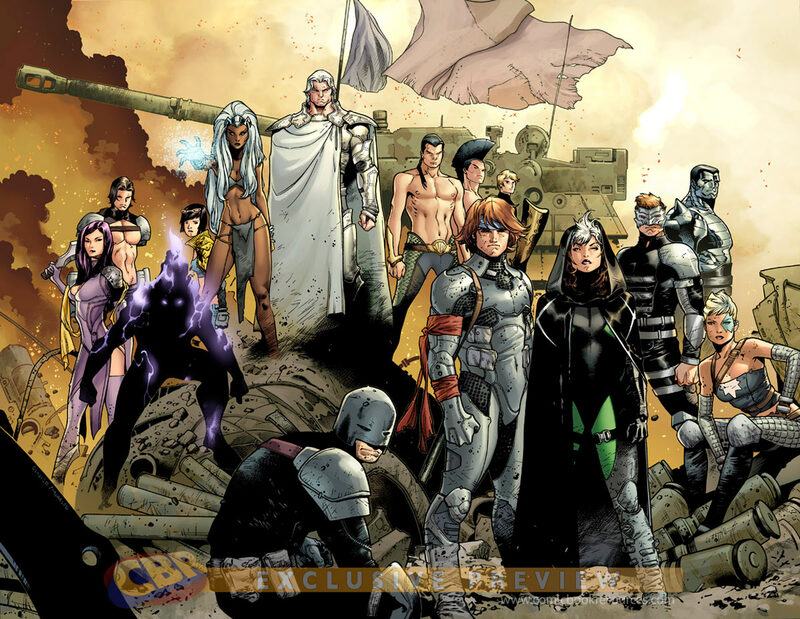 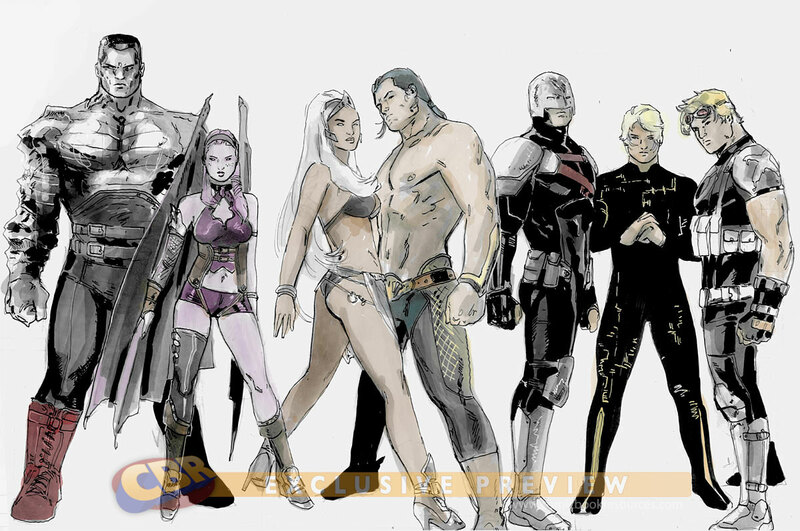 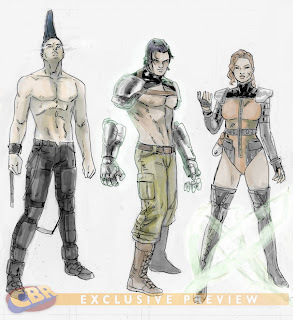 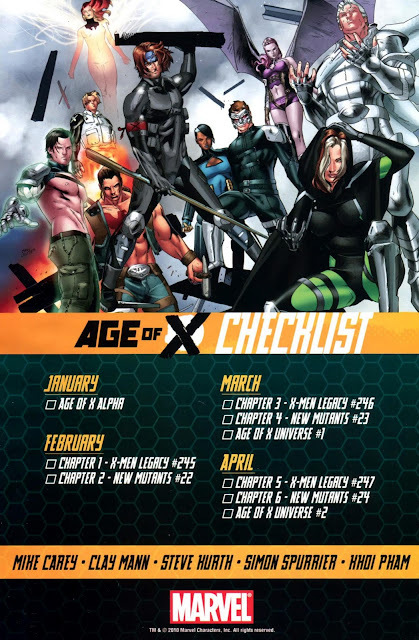 Historical Log 3C : Mutant-Hunting Exonims Begin "The Decimation"
Latest: CBR interview with Age of X writer Mike Carey, more..
Gambit is the one in the middle of the image holding a stick. 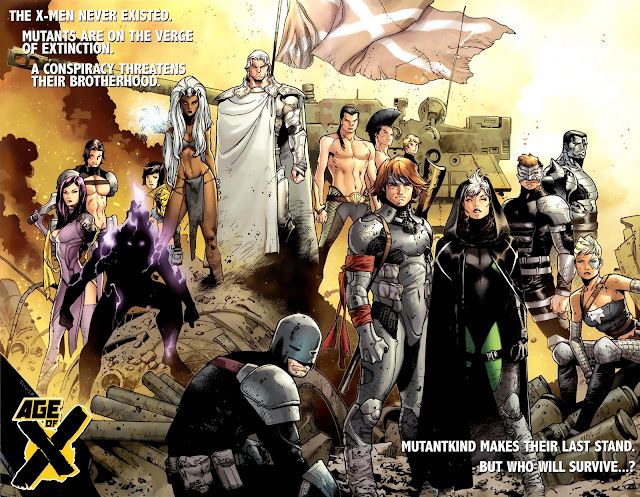 Hellion is on the bottom left. 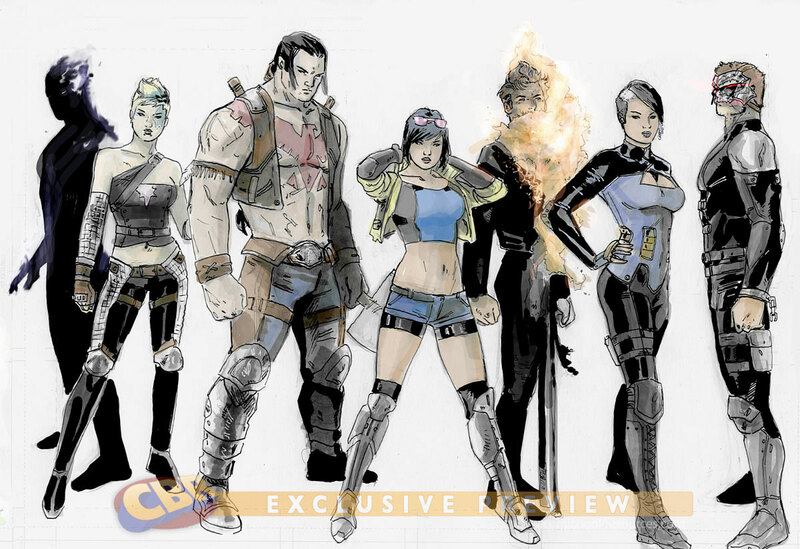 Frenzy is the one with the blue costume in the middle. 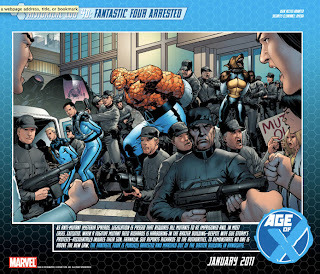 Cannonball is on the left with his signature blast. Magneto is on the right in white costume. 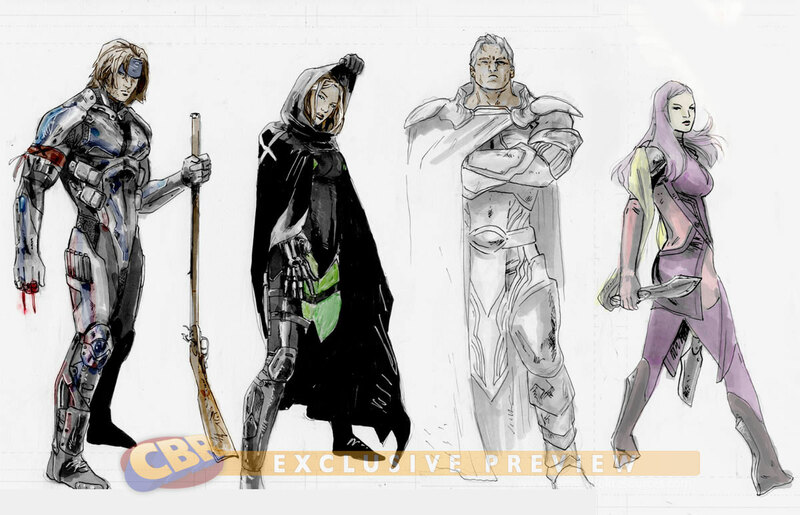 Reaper is the one on the bottom right and is probably Rogue. Revenant is the one on the top left. She looks suspiciously like Phoenix. 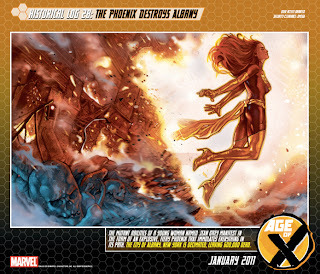 She is confirmed not to be Hope Summers. 16 Nov CBR interview with writer Mike Carey, editor Daniel Ketchum and Marvel's Junior Sales Administrator James Viscardi: more..